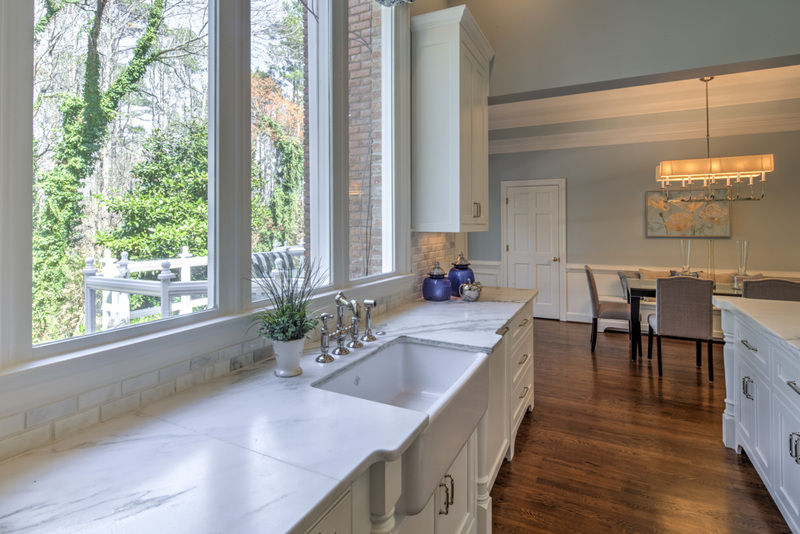 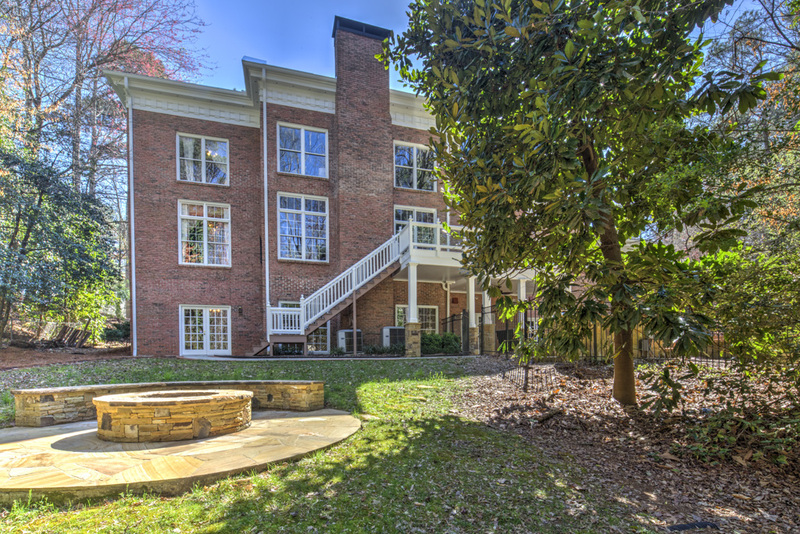 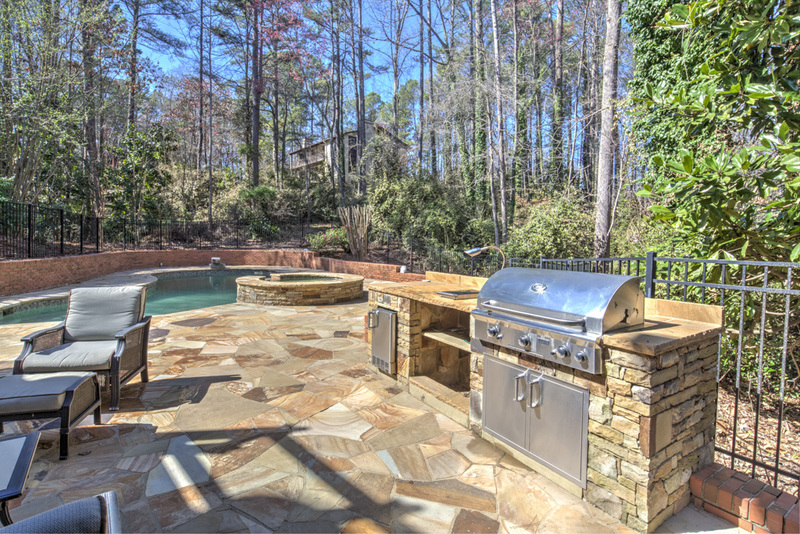 Brick beauty in Marlborough, one of North Dunwoody|Sandy Spring’s best neighborhoods. 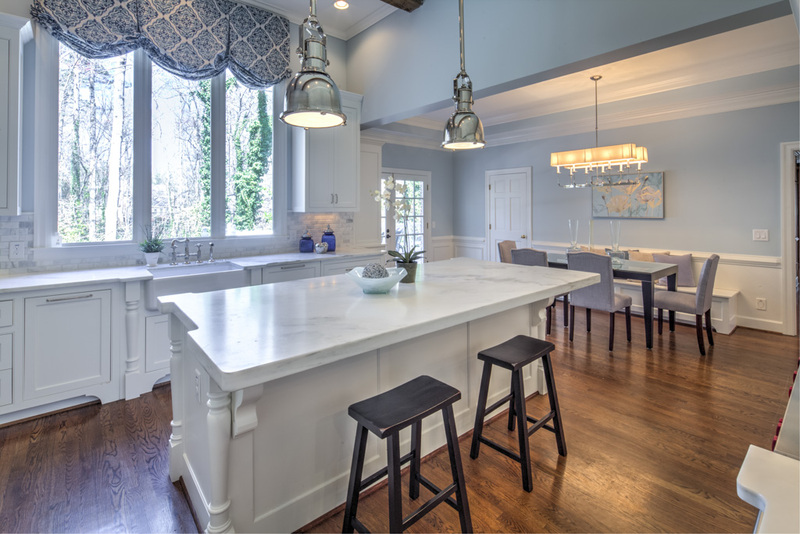 This home is truly special with gorgeous kitchen featuring honed marble countertops and professional grade appliances, high ceilings, spacious rooms and backyard oasis featuring pool, outdoor kitchen and firepit. 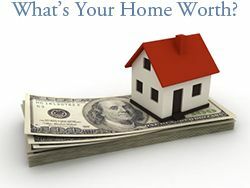 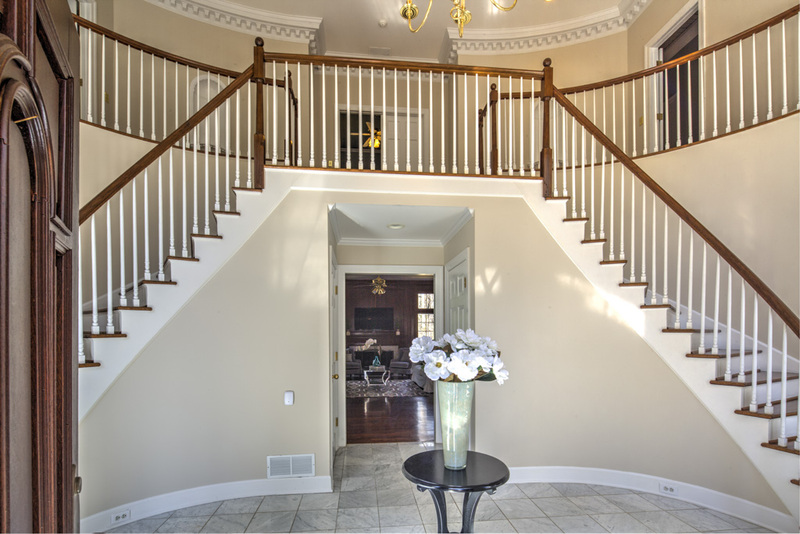 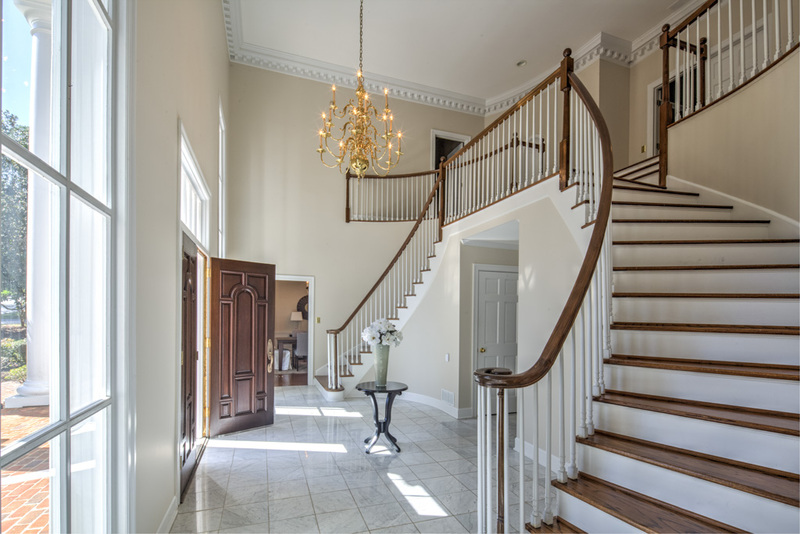 As you enter this gracious home, you will find an elegant two story foyer with dual staircases. 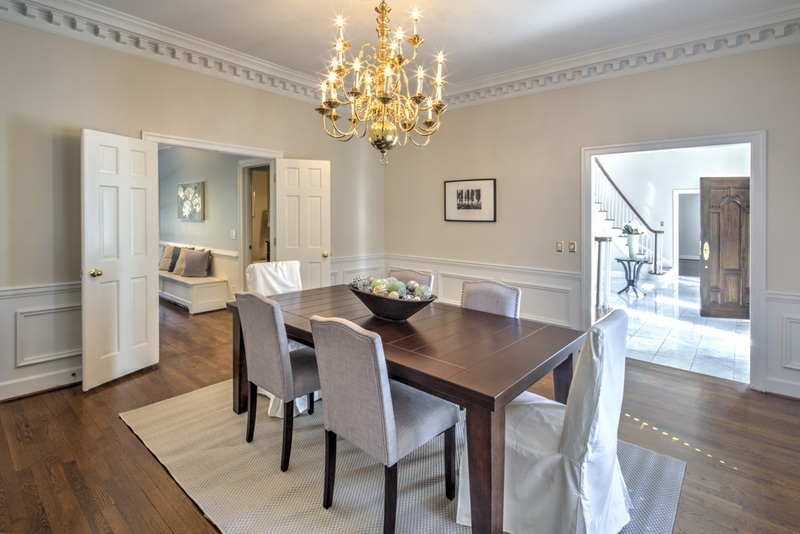 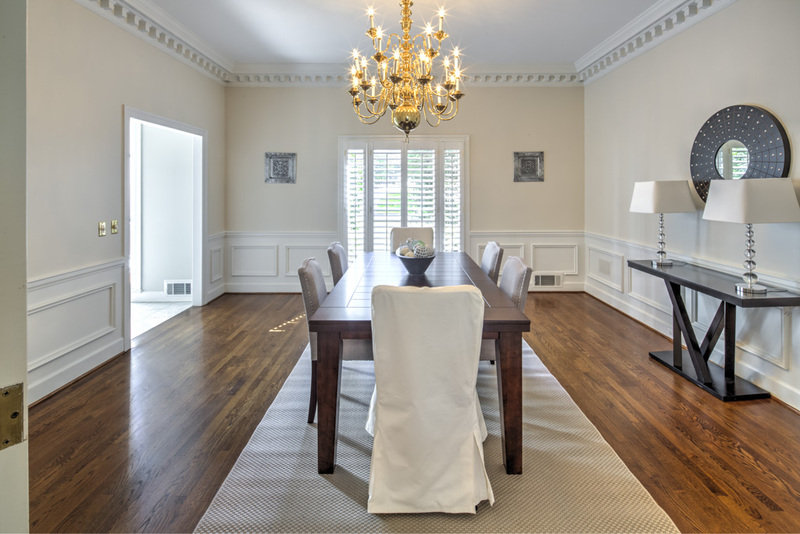 On the left is banquet-size formal dining room which seats twelve. 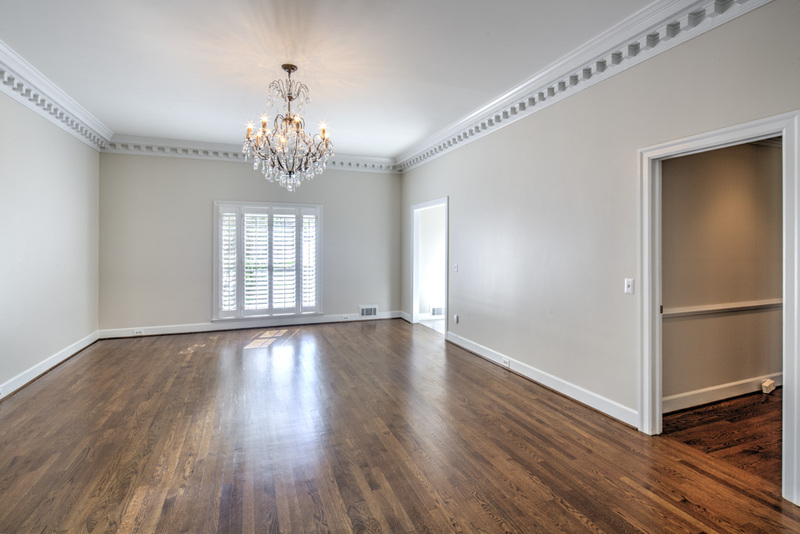 On the right, formal living room which could be converted to guest bedroom or master on main. 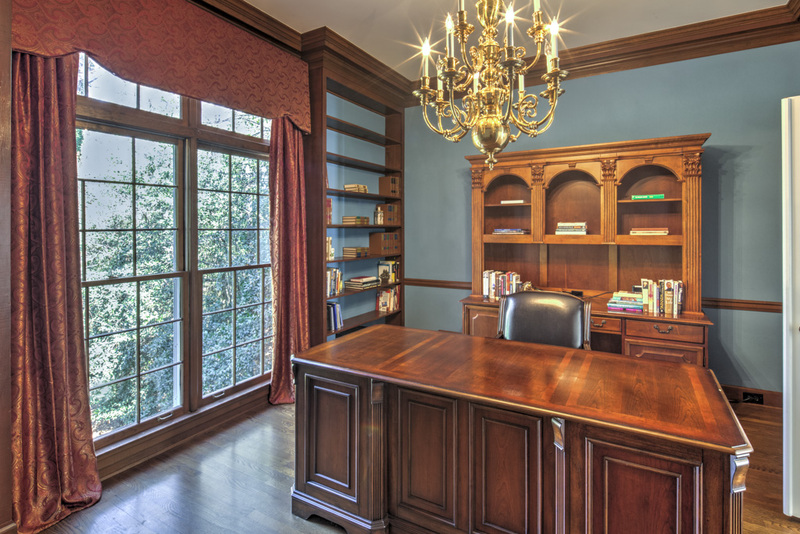 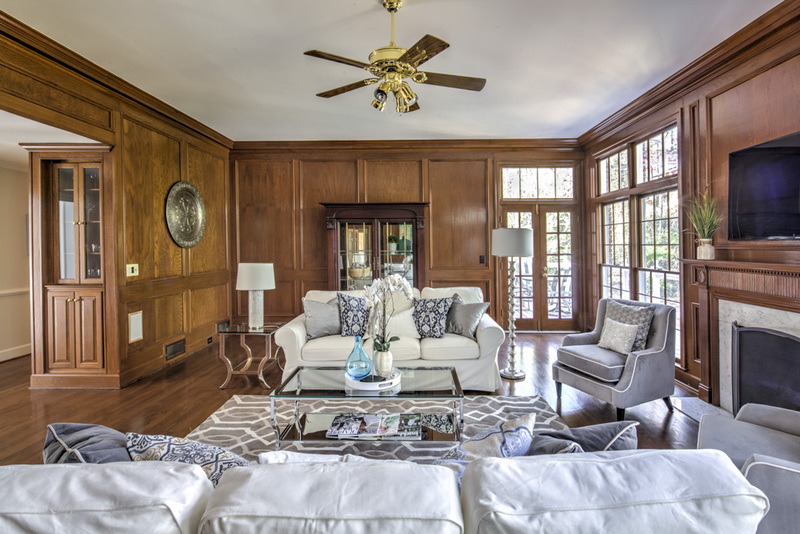 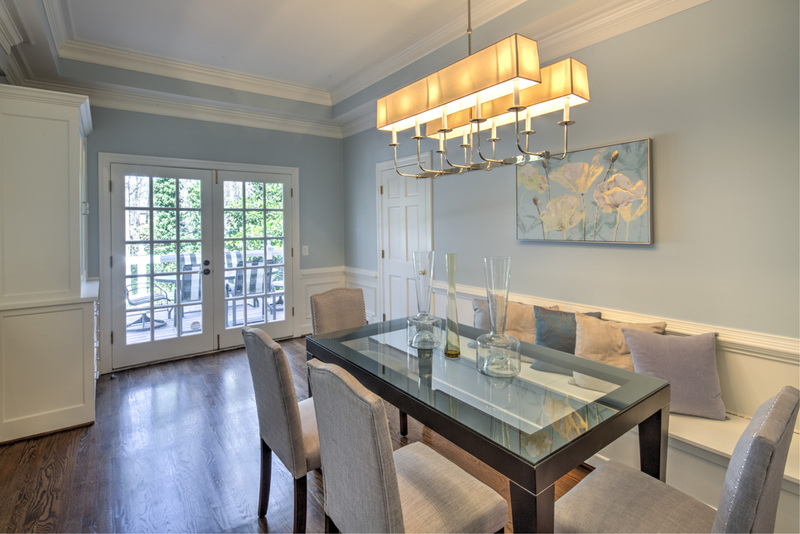 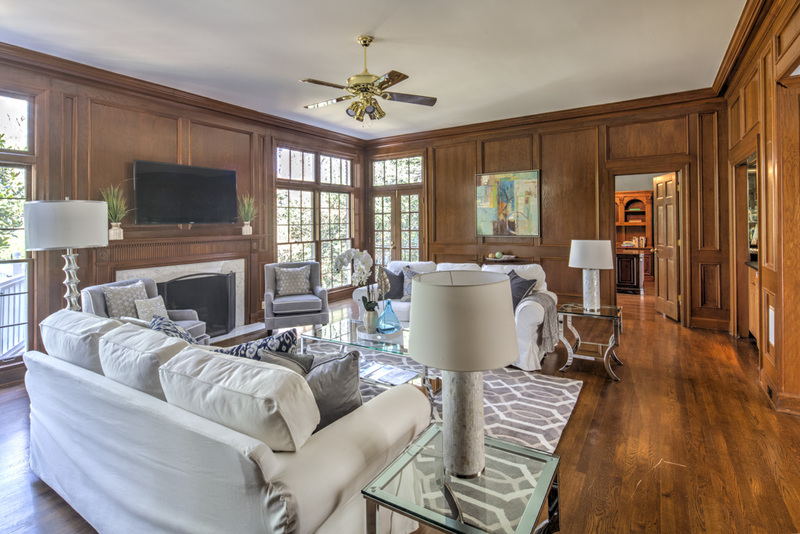 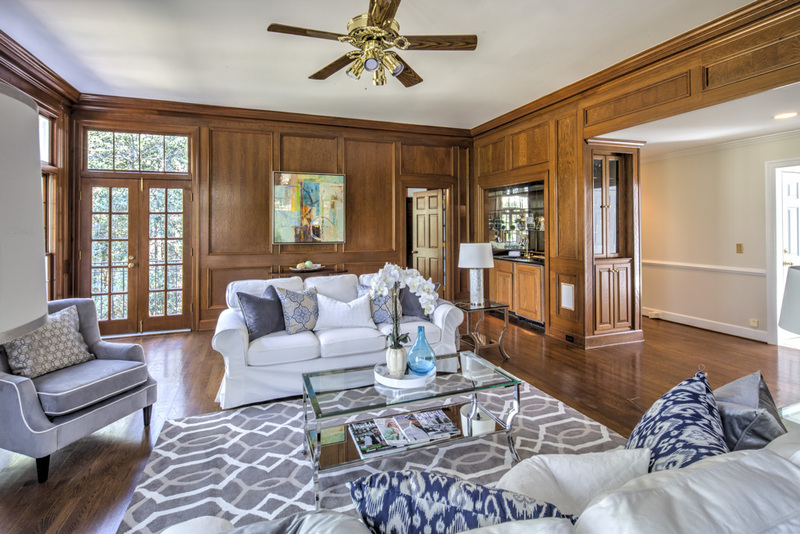 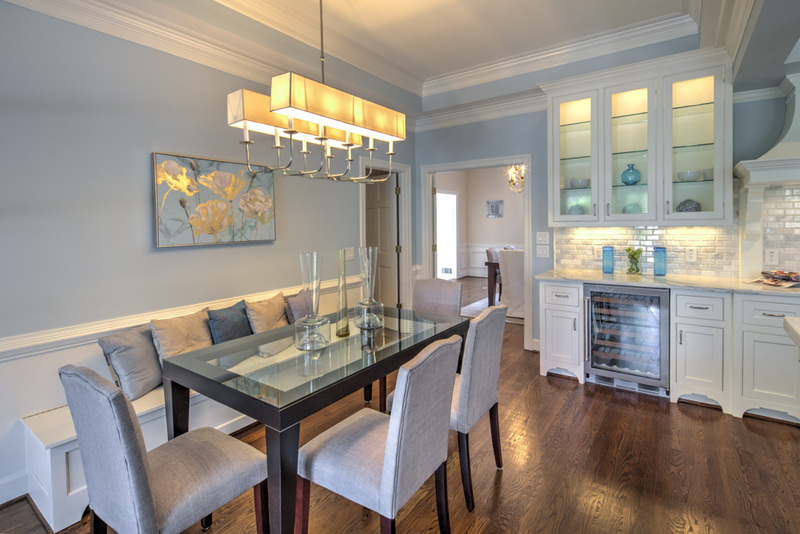 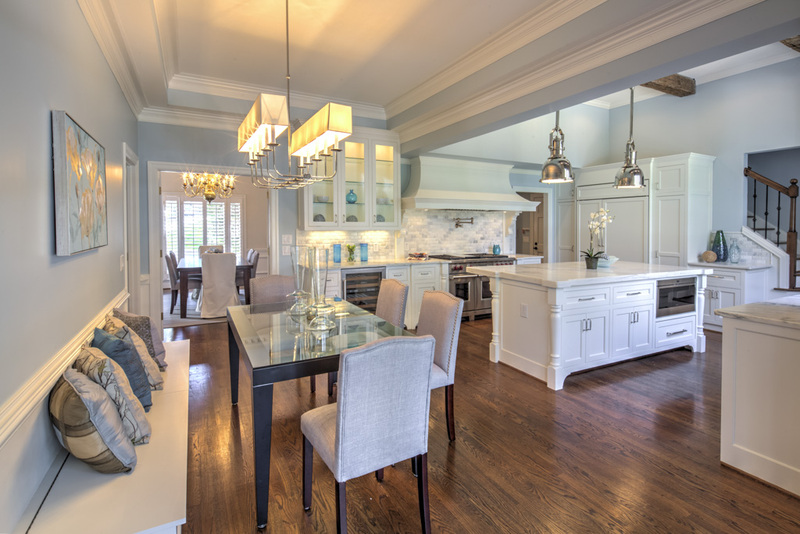 The first floor also includes a handsome study and huge fireside family room with wet bar. 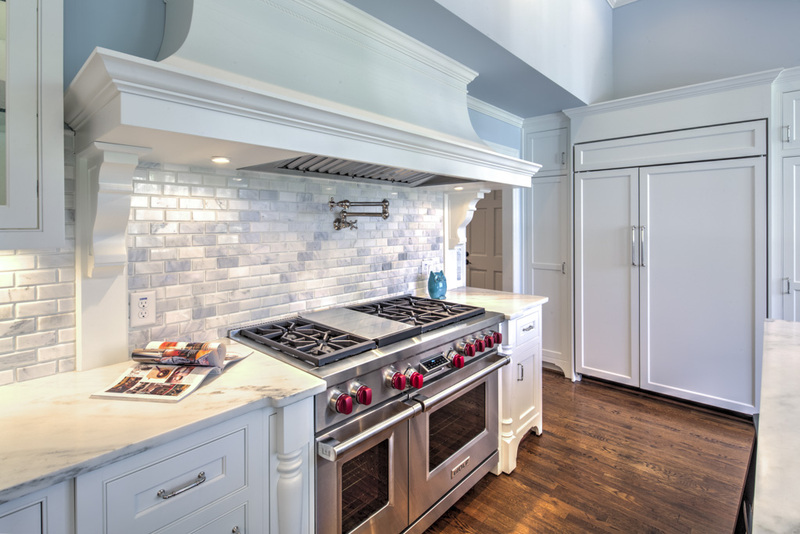 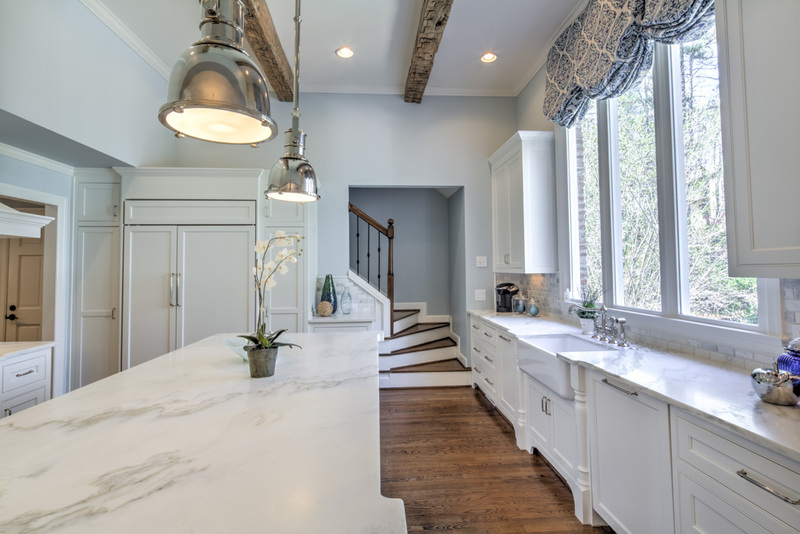 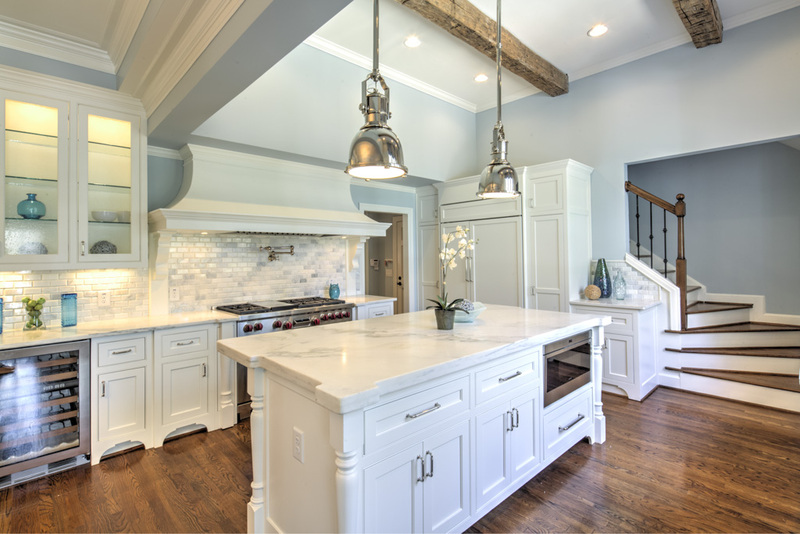 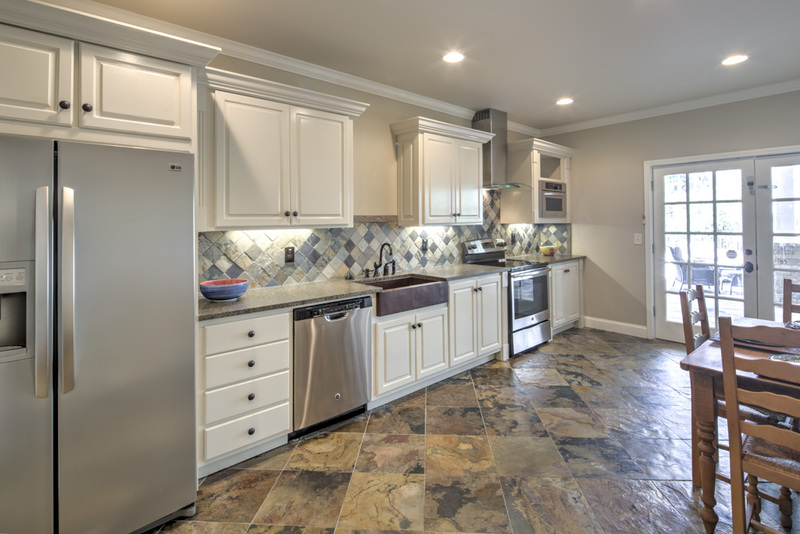 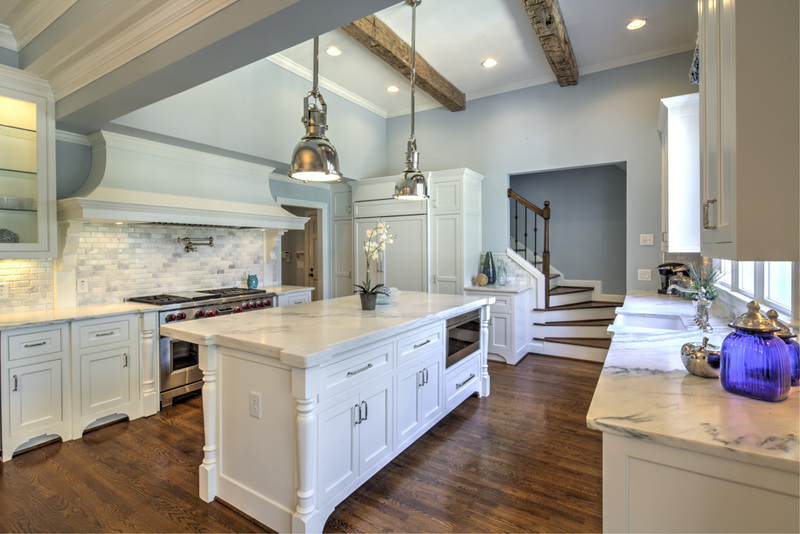 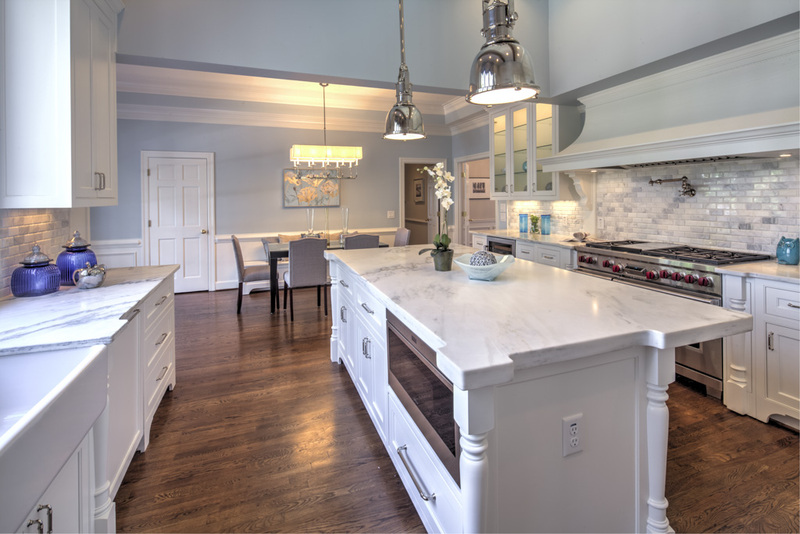 Stunning renovated kitchen with reclaimed beams, white inset custom cabinets, honed marble countertops, 48″ Wolf dual-fuel range, SubZero wine chiller, built-in 50″ Sub-Zero refrigerator, walk-in pantry, farmhouse sink and breakfast room with built-in banquet. 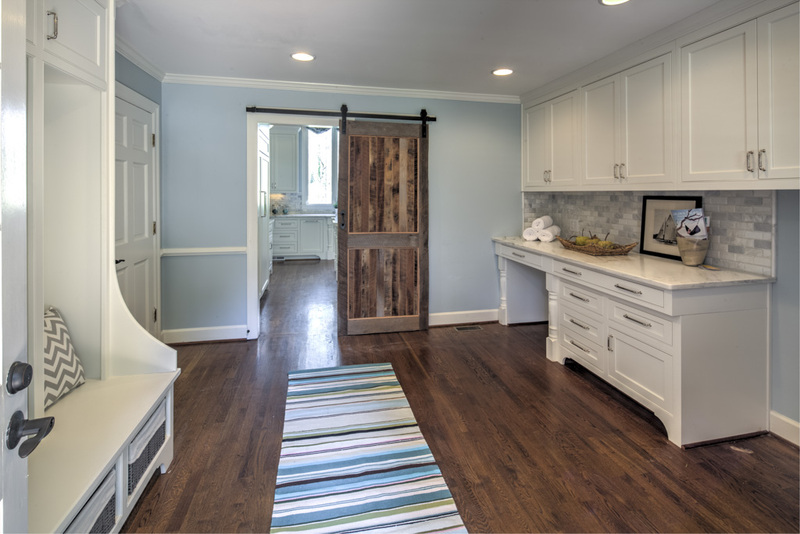 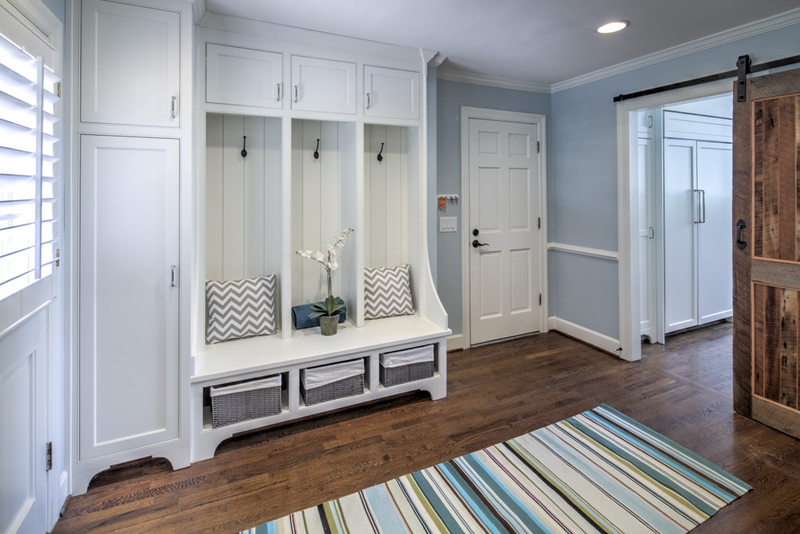 Laundry room features reclaimed sliding barn door, built-in desk, custom mudroom built-ins and washer/dryer connection. 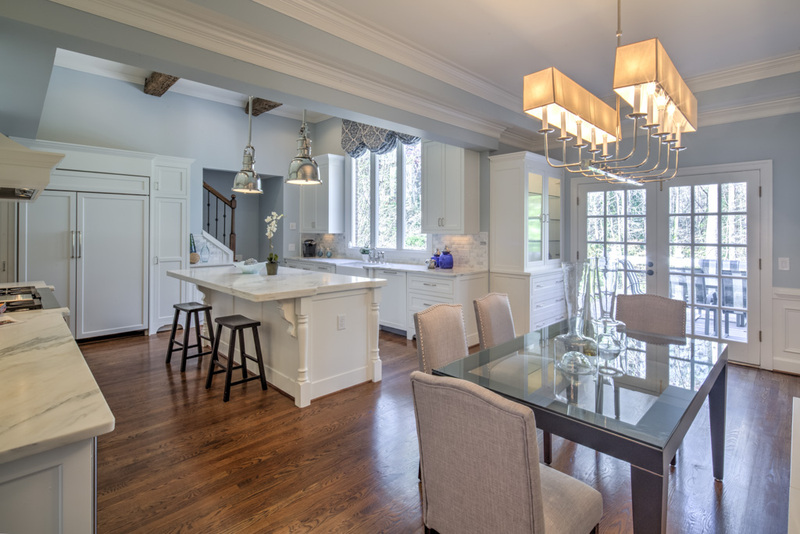 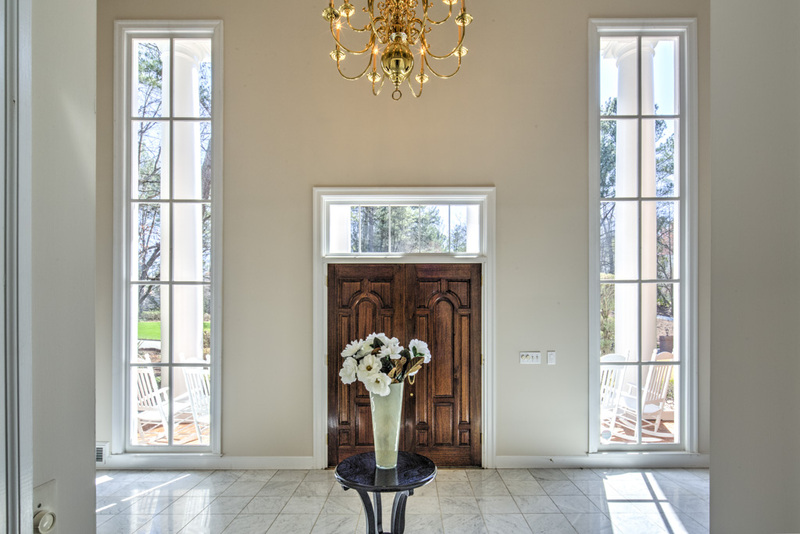 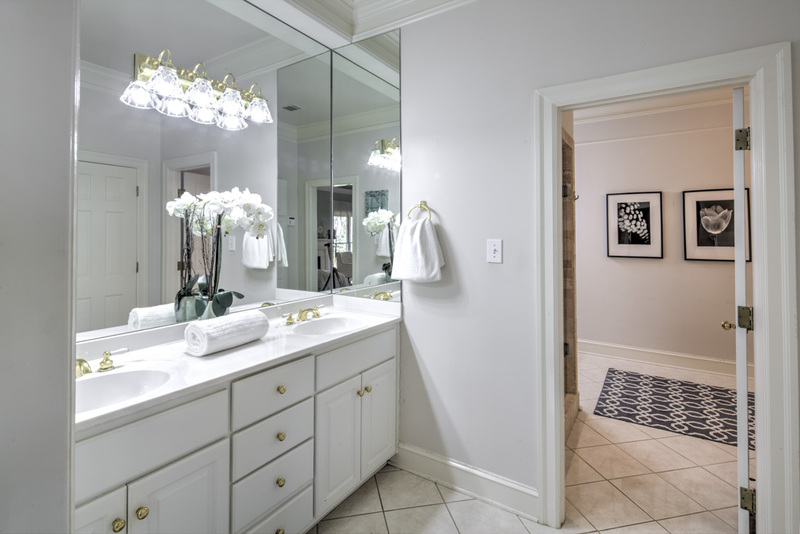 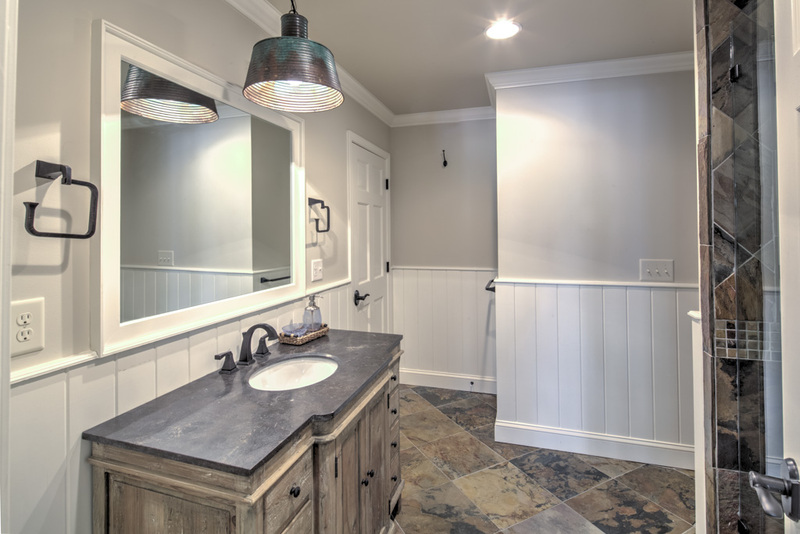 The main level also includes powder room and hardwoods throughout. 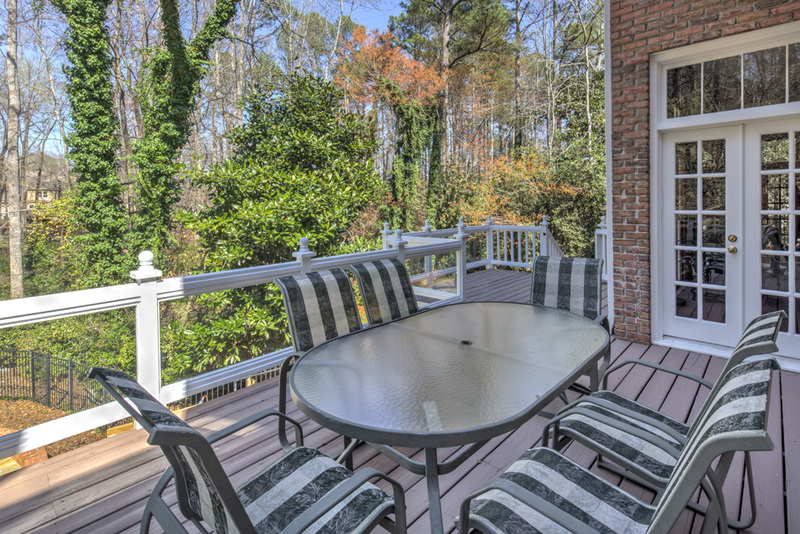 Kitchen opens to the deck which overlooks the private backyard. 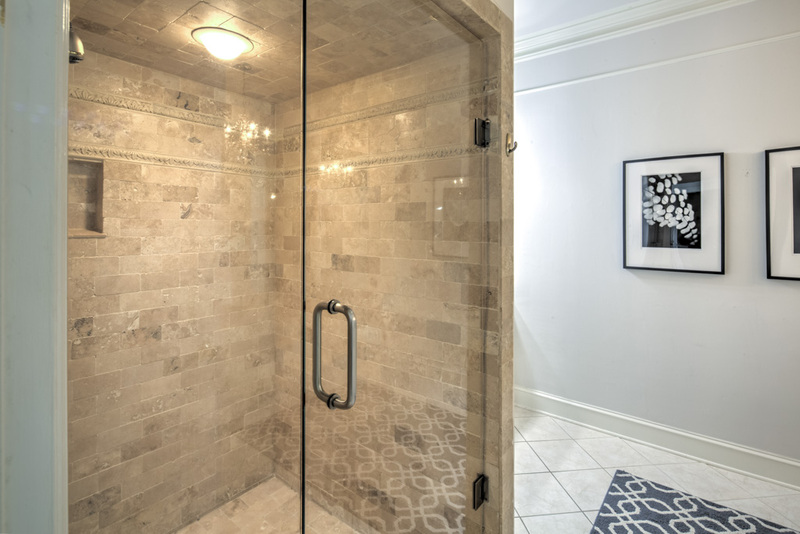 Upstairs you will find a spacious master suite with sitting room, fireplace, walk-in closet, garden tub and frameless travertine shower. 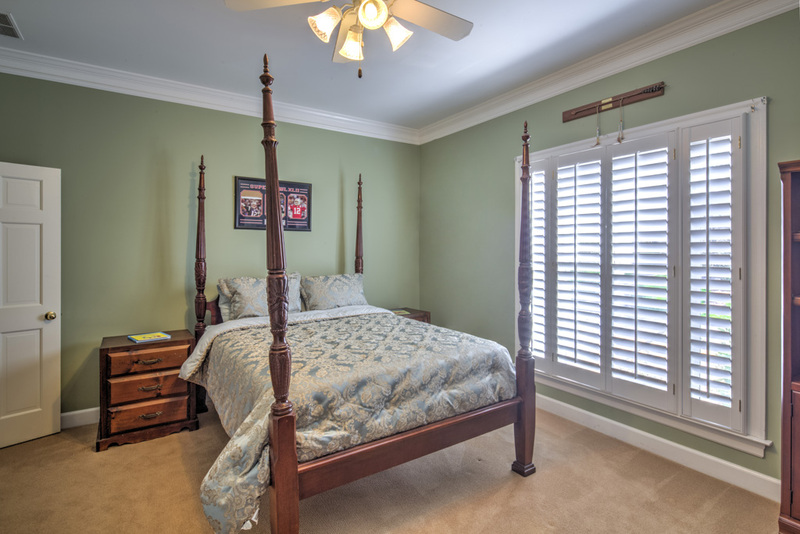 There are also three large guest bedrooms and two guest baths on the upper level. 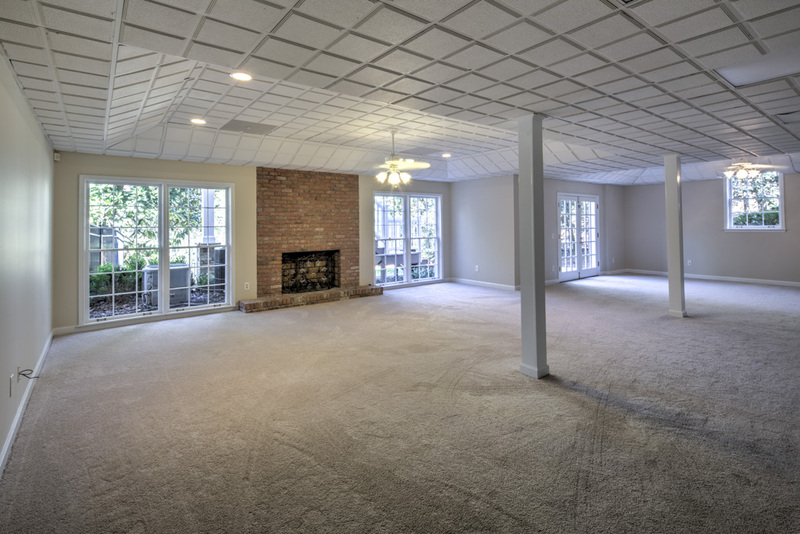 The enormous finished basement features high ceilings, family room with fireplace, gameroom, guest bedroom, full bath and second kitchen for pool side entertaining. 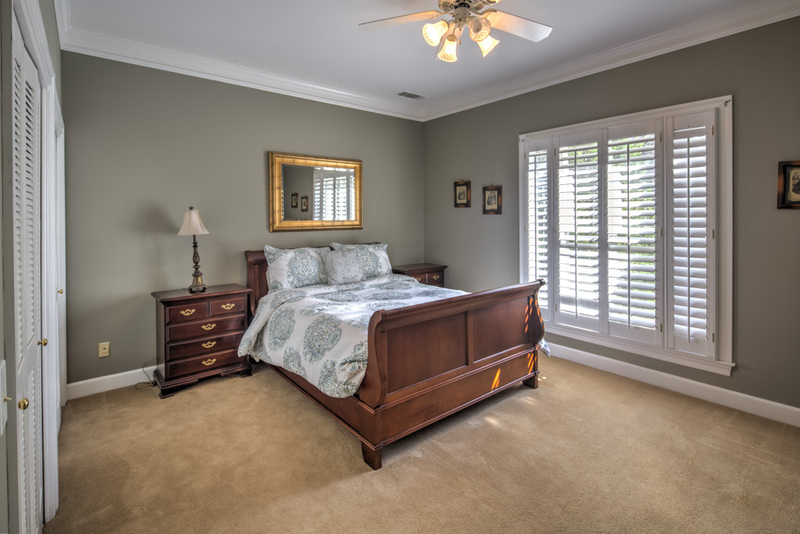 Perfect In-law or Nanny Suite! 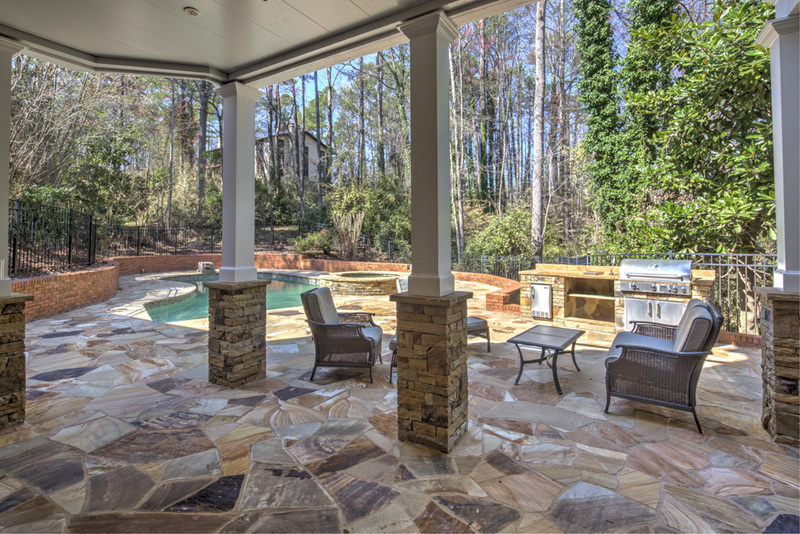 Huge storage area with second laundry, perfect for pool towels. 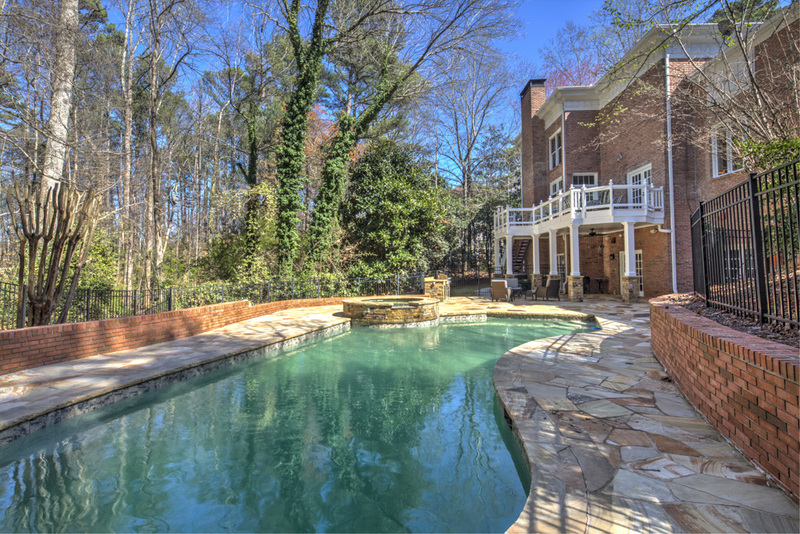 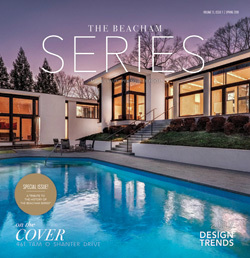 A nature lover’s paradise, this lush private estate is surrounded by a canopy of trees and has an in-ground heated salt-water pool and spa, firepit and outdoor kitchen. 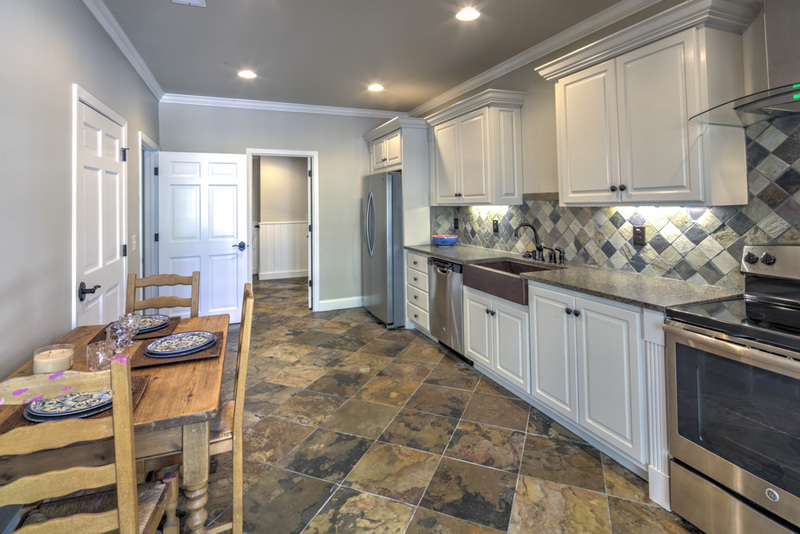 Three car side entry garage and parking pad provide plenty of space for friends and family. Walk to Dunwoody Country Club for golf, pool and tennis. 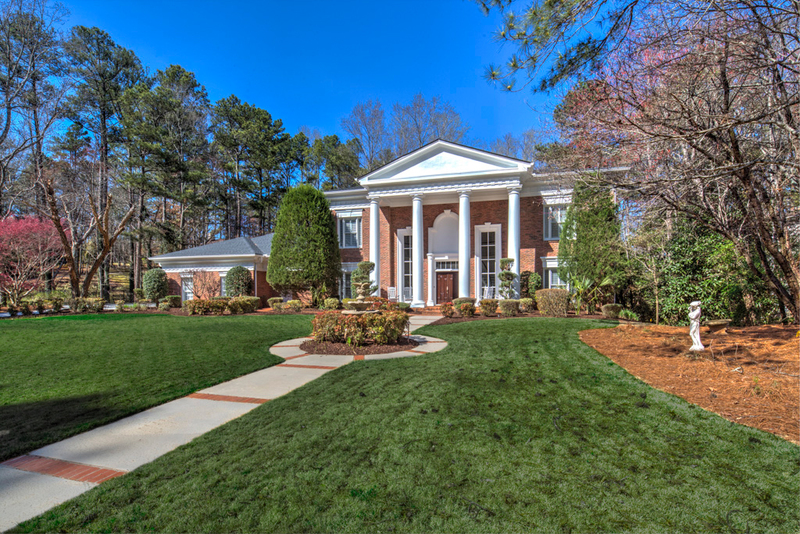 There is a bus pick up conveniently located 1.8 miles east on Spalding at Orchard Park Shopping Center with private school transportation to many of Atlanta’s private schools including Woodward, Greater Atlanta Christian, St. Martin’s Episcopal School and others.